Greetings friends and fellow crafters. Today I am here sharing the first project with the new design team Sunsational Stamps. For my project today I used the ... Digital Image Set. 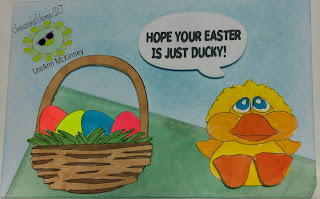 I used Spectrum Noir Alcohol Markers for all items other than the duck, in which I used Memento Dual Markers.